BAGHDAD (AFP) – Security forces were on alert Tuesday after a wave of attacks including three car bombs at a factory and another against emergency workers killed at least 100 people in Iraq's bloodiest day this year. Nearly 350 people were wounded in around two dozen attacks nationwide, a surge in violence that came as Iraq moved closer to forming a government two months after a general election seen as crucial to US combat troops leaving the country by August 31. The United States led international condemnation of the violence, saying opponents of Iraqi progress were making "one last charge" at fomenting chaos, while France "strongly condemned" the attacks. The deadliest attack saw two suicide car bombs detonate simultaneously in the car park of a textiles factory in the central city of Hilla, as workers boarded buses to go home, followed minutes later by a third car bomb, police Captain Ali al-Shimmari told AFP. About an hour later, according to Shimmari, a fourth explosives-packed vehicle exploded, engulfing the area as emergency service workers treated victims at the scene. "When I heard the explosions, I rushed outside and saw the massive damage -- there were bodies everywhere, people were crying and screaming," said Haidar Ali, 35, who had by chance stayed in the factory to speak to a colleague. "It's the fault of the government and the company. They care only about their own personal safety, and they left the workers without any security. They were very easy targets." Dr. Ihab al-Dhabhawi, a doctor at Hilla's hospital, said the explosions, the first of which struck the State Company for Textile Industries at around 1:30 pm (1030 GMT), killed 50 people. 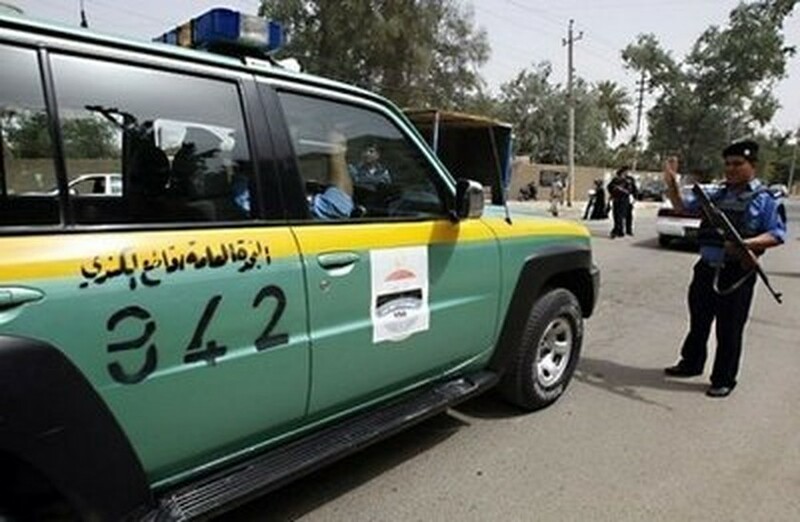 A police officer, speaking on condition of anonymity, said security forces had received intelligence of car bombs targeting the city, 95 kilometres (60 miles) south of Baghdad, and had searched different parts of it before hearing the explosions. And in the southern port city of Basra, three car bombs at two markets killed 20 people, police said. The first blast struck in a busy market in the centre of the city, 450 kilometres (280 miles) south of Baghdad, at around 6:00 pm (1500 GMT), while two other blasts hit another market in central Basra an hour later. Earlier on Monday, the capital Baghdad was hit by a spate of shootings with automatic weapons against six police or army checkpoints in the east and west of the city, which left seven dead, the interior ministry official said. Two other policemen died in three bombings in south and west Baghdad, he added. "The attacks started at 6:30 am (0330 GMT) and ended around 8:00 am (0500 GMT)," the official said, noting that nearly all of the wounded were security personnel. A double bomb attack near the mosque in Suwayrah, 60 kilometres (40 miles) southeast of the capital, meanwhile, killed 11 people and wounded 70, a police lieutenant told AFP. Twelve other people were killed in separate attacks around the former Sunni insurgent bastion of Fallujah, west of Baghdad, the northern city of Mosul, in Iskandiriyah, south of Baghdad, and near Tarmiyah, north of the Iraqi capital. Monday's death toll was the highest since December 8, when 127 people were killed in five massive vehicle-borne bombs across the capital. Although violence has dropped in the past two years, the latest unrest will be seen as evidence that insurgents remain capable of wreaking carnage on a grand scale, two months after elections in which no clear winner emerged. Electoral officials said on Sunday that results from the March 7 vote were nearly finalised, with totals from all but one province sent for ratification. A recount in the lone exception, Baghdad, is more than half complete. Monday's violence came after figures showed the number of Iraqis killed in violence in April fell slightly month on month but was almost unchanged from 12 months ago -- 328 people died as a result of attacks last month. Also last month, Abu Omar al-Baghdadi, the political leader of Al-Qaeda in Iraq, and Abu Ayub al-Masri, an Egyptian militant and the group's self-styled "minister of war," died when their safehouse north of Baghdad was bombed.